When you’re preparing to move into a new home, sometimes the best option is to build the property from the ground up. Most people don’t have cash on hand to pay for construction costs, and mortgage loans are complicated on properties that do not exist. Spec home loans make it possible to fund new-build projects, whether you’re a homeowner or a property developer. What Is a Spec Loan? A speculative loan makes special allowances to accommodate homes that haven’t been built yet. Because it’s impossible to predict the exact dollar amount that will be needed to finance the construction, the lender often approves a project proposal before agreeing to fund it. This includes an approximate budget, a floor plan, and an estimated timeline. With the total loan figure unknown, until the project concludes, the borrower typically pays interest only during the construction phase. Once the structure is built and the borrower takes full possession, he or she is responsible for the final principal loan amount plus interest. The benefit of a spec home loan is that it enables you to custom design your future home. Being involved in the process from the beginning lets you give input on the layout of the house, including room sizes and locations. You get to choose the floors, cabinetry, countertops, and other custom finishes. You’re able to make it the perfect home for you and your family. 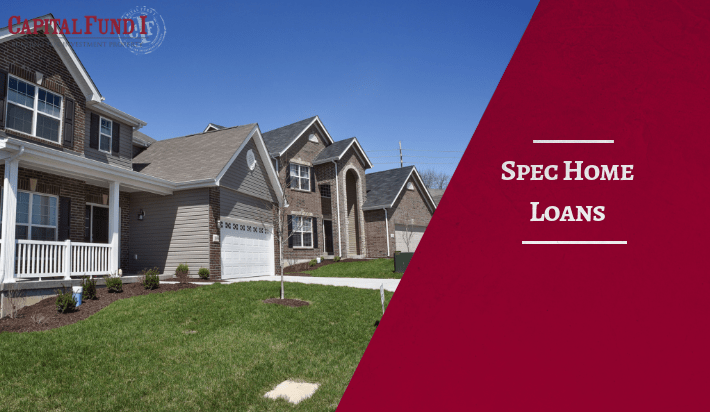 How Is a Spec Loan Different from a Mortgage Loan? Loans on spec projects are usually short term, while mortgages involve a repayment period of 15 or 30 years. In comparison, most semi-custom home loans max out at one year. This is good news because interest rates are generally higher with these allowances; it helps to know you won’t be carrying that added cost long term. The reason you see interest rates increase with spec properties is that lenders are often taking on greater risk in these situations. In mortgage loans, the house serves as collateral should the borrower be unable to make payments. During construction, the value of the home is significantly less than a completed structure, so it can’t serve as an appropriate placeholder for the loan amount. Ultimately, once the home is completed, most construction loans transition to traditional mortgages. This allows you to pay off the remaining construction debt the same way you’d pay off the cost of a pre-built home. 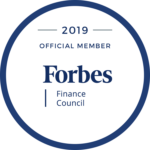 How Do You Secure Speculative Financing? There are several requirements you need to fulfill in order to secure funding for construction. A down payment of 20-25 percent is common, along with proof of financial stability. You must have good credit and a healthy sum of money in your bank accounts. When these factors are approved, you’ll provide the specifications for the project, and your chosen builder’s credentials are evaluated. An appraiser may also weigh in to help the lender determine the home’s potential worth. The location of the structure and comparable property values in the area are usually considered as well. All of these factors contribute to the strength of the project and whether or not the lender feels confident in getting behind you and your plans. If you’re ready to create your custom dream home, the first step is financing it. Let Capital Fund 1 help you with your construction loan so you can see your vision come to life. Contact us today with any questions or to start the process.